Last night's ride started with my horse squeaking. Yes, squeaking! I thought I'd ride him in the grassy field since a lesson was going on in the outdoor, so I tacked him up (as usual), led him to the big outside mounting block (as usual) and threw my reins over his head (as usual). And he must not have been paying attention or something, because as I threw the reins over his head he exhaled so hard it sounded like a squeak, and cat crouched and scrambled backwards. And that was when I decided to head into the indoor, where I slogged through a whole lot of missing gerbils for forty minutes. It got steadily better, and then at about 39 minutes in he had a full on meltdown about his hair touching his ears. Like...violently shaking his head for a full 20m circle. I tried a couple of different things, and finally settled on just pushing him through it in the sitting trot with quiet, following hands - and I got a solid 5 minutes of what might be our first true medium trot ever, and then another five of moving between medium, working and even a little extended trot. Like, I haven't ridden a true medium trot before, but I knew it when I felt it. 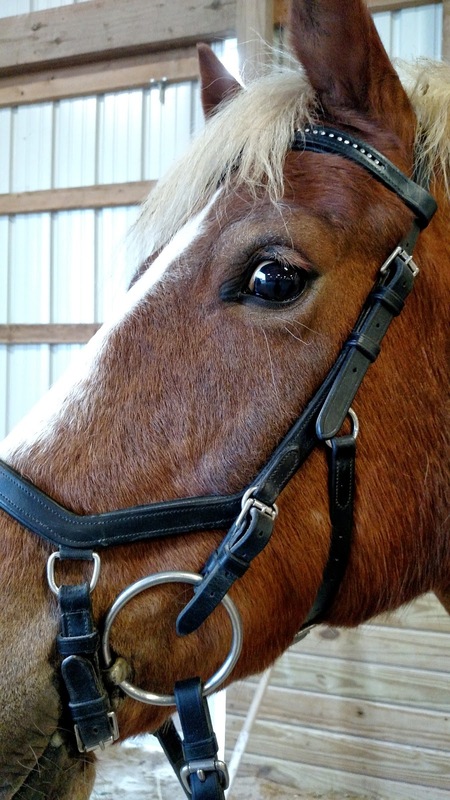 He was pushing into the bridle from his hind legs with so much impulsion, but it was contained tactfully in my hands. 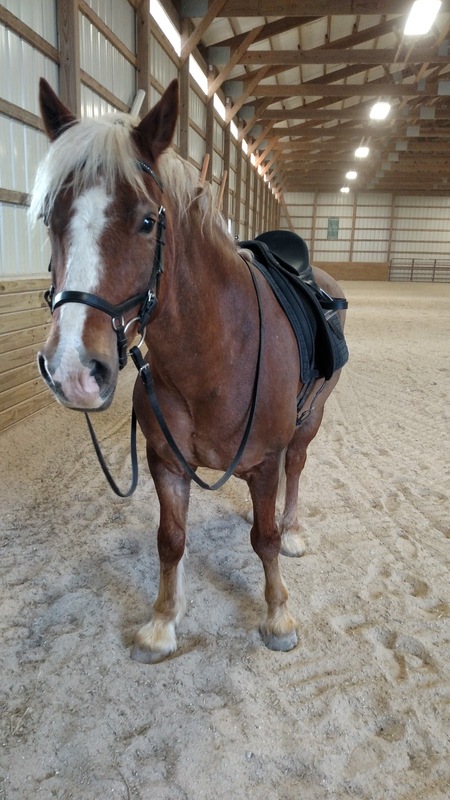 His back was lifted, everything was so round, and he was moving quickly, but I could bring him back to working trot and keep the same rhythm by just sitting stiller. If anyone had walked by the indoor, I would have begged them to take a video, it was that amazing to ride. I had the thought that this is my first real preview of what he could be as a Dressage horse while I was sitting that trot. And it was HARD work. Putting him together is really physical right now in terms of my seat and legs. But the results are amazing. I quit there. We were both kind of wondering WTF just happened, in a good way. 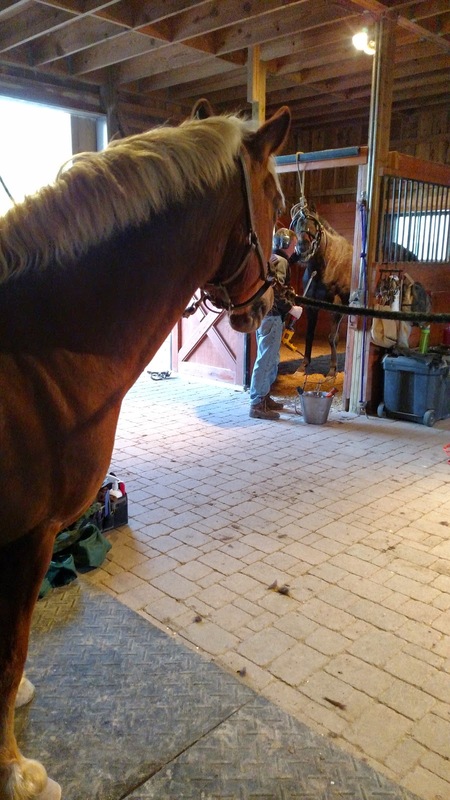 When we got back into the barn, a teammate's horse was getting his teeth floated. Her dad said, "Wow, Connor looks like he worked hard." Now to get that kind of work out of him without the 40 minutes of missing gerbils preceding it. I hate those gerbils. We need to find a way to eradicate them somehow! The gerbil struggle is real! I have so had that ride, minus the medium trot at the end. You had great responses and I'm glad you worked through it.